Hello there, I hope you’re enjoying your weekend so far! 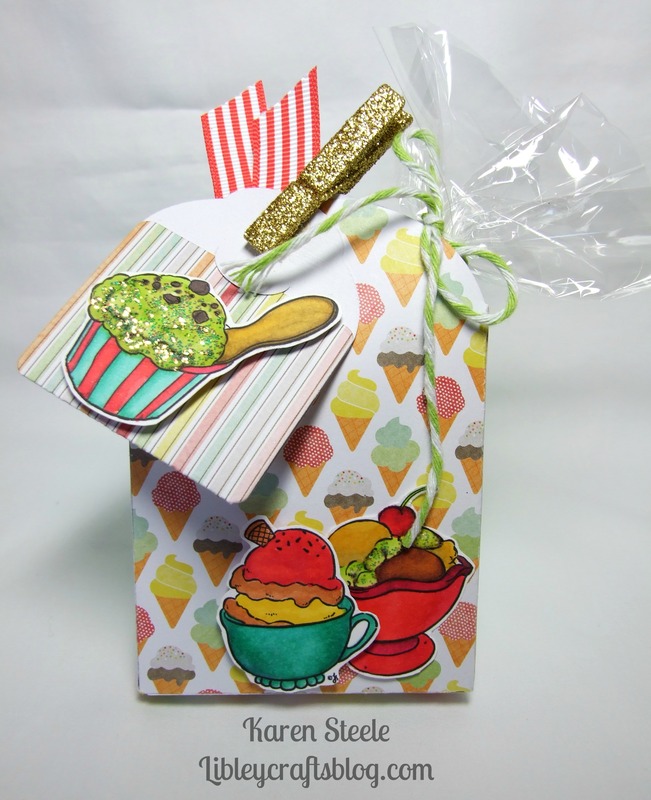 It’s a very quick visit from me today with this treat bag that I made using the Stamp of the Month image for June at From the Heart Stamps and it is called Ice cream Lineup and here it is! I printed the lineup of ice-cream and coloured them in with Spectrum Noirs, then I cut them out and popped them on the bag – easy peasy! If you didn’t participate last month you can still take part this month by either buying the image in store or you can get it for FREE if you spend $10 in store and quote SCREAM. You have until the end of the month to upload your creations to the BLOG. All challenge rules and details can be found HERE. I also used dies from Reverse Confetti, twine, Stickles, glittery peg and twine. Papers are from American Crafts – Dear Lizzie Neapolitan. What a treat – an extra post from you! gift wrap and lovely little packets are my favourite thing. This ticks all the boxes! 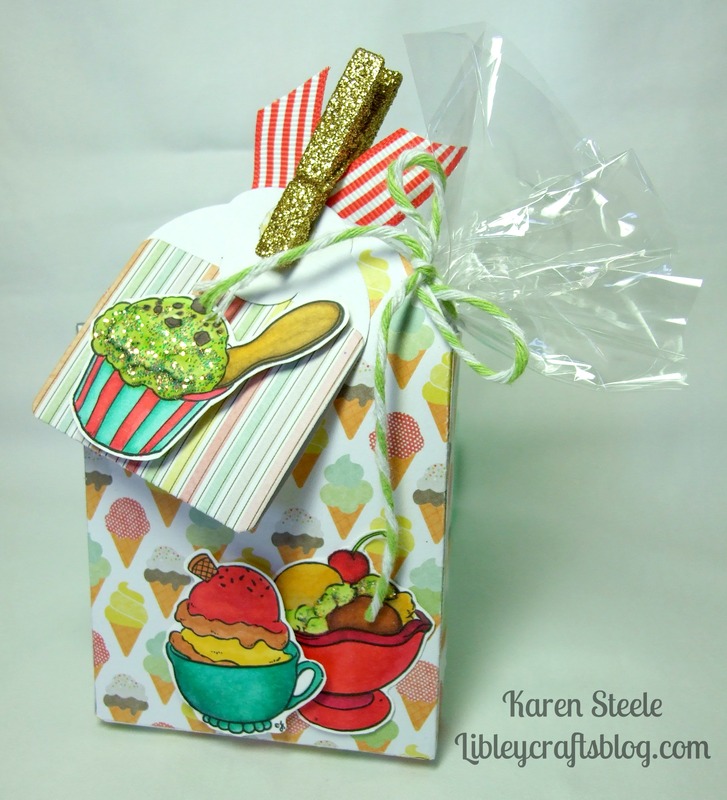 FUN little treat bag and the ice cream cups are fabulous colored, Karen ! Awesome!! This is a great little project! Love the glitter! Thank you so much for joining in with us at FTHS. Karen, this is so sweet! What a fantastic treat bag!